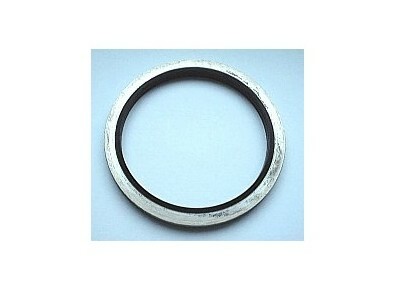 IQS Directory implements a thorough list of metric oil seal manufacturers and suppliers. Utilize our listing to examine and sort top metric oil seal manufacturers with previews of ads and detailed descriptions of each product. Any metric oil seal company can design, engineer, and manufacture metric oil seals to meet your companies specific qualifications. An easy connection to reach metric oil seal companies through our fast request for quote form is provided on our website. The company information includes website links, company profile, locations, phone, product videos and product information. Customer reviews are available and product specific news articles. This source is right for you whether it's for a manufacturer of hydraulic metric oil seals, oil seals, and mechanical oil seals. 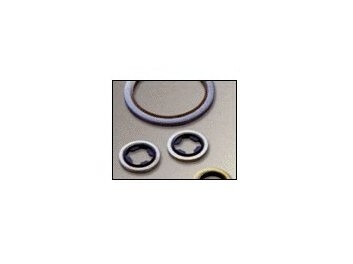 If you are looking for quality metric oil seals, then you have come to the right place! We specialize in metric sizing and are the most reliable and revolutionary company in the business. We don’t just provide products for our customers, but empower them to reach their goals. Contact us today by phone or visit our website to learn more! With over thirty years in the manufacturing industry, Premier Seals Manufacturing creates products for a variety of application. In the automotive, industrial, agricultural, military, medical and the food industry they are recognized as a high quality supplier of the metric oil seals you need. At Premier, we have the knowledge to meet your requirements, contact us today. Zatkoff Seals & Packings today is the largest independent distributor of seals in North America. One location manufactures various die cut shapes from a full range of non-metallic materials and offers the ability to supply most materials with an adhesive backing. You’ll find our sealing systems solutions backed by over $25,000,000 in inventory and nearly 200,000 international part numbers. If you are looking for metric oil seals, then you have come to the right place! We are based in Arizona, but we offer products to companies around the world. We are dedicated to providing our customers with the highest quality products in the industry, and we work hard to maximize everything that we do. Contact us today by phone, or visit our website to learn how we can help you today! At D&D Engineered Products Inc. we manufacture top of the line hydraulic seals, gaskets, various o-rings, high temperature tapes, compression packings, and much more. We promise to cater our product to any needs you may have, such to ensure your satisfaction. If you would like more information please give us a call. Oil seals increasing the working lifespan of the systems in which they are installed by reducing friction; this helps to improving efficiency as well. Synthetic rubber is the most common material used for oil seal construction. Teflon in particular is valued as an oil seal material because of its properties of chemical and corrosion resistance, elasticity, temperature resistance and its strength. Metric oil seals are non-metallic rings that are used to prevent leakage of liquids in hydraulic systems; they are used primarily in countries that do not use the American system of measurement. Hydraulic systems are machines that use pressurized hydraulic fluids to facilitate the movement of equipment. Bulldozer shovels, for example, are moved by hydraulic cylinders filled with pressurized hydraulic fluid. That fluid is transmitted throughout transmission lines and cylinders. This movement of the fluid forces pistons and other similar equipment back and forth; the equipment connected to the pistons moves as a result. Oil seals, which are sometimes also known as hydraulic cylinder seals, are necessary to help prevent contamination of hydraulic systems. They are also used to help maintain fluid pressure in those systems. Hydraulic cylinders and fluid transmission lines must be carefully controlled in order to ensure that the entire system performs as it should. Contaminants and poor seals in a hydraulic system can cause inefficiency in that system and sometimes failure. Total and even partial failure of hydraulic systems, particularly in cases when those systems are applied in load bearing or lifting capacities, poses a very severe hazard to nearby people and objects. For example, if an earth mover’s hydraulic cylinder failed while lifting a large amount of dirt, the rapid and unexpected descent of the equipment could cause serious damage to anything in its falling path. Also, the impact could cause damage to the rest of the equipment, which could derail whatever project in which it was involved. Properly installed and maintained oil seals help reduce the chances of hydraulic system failure. Metric oil seals and American oil seals are both important parts of all kinds of industrial, commercial and consumer utilities. Carefully pairing them with their applications is important ensuring the sustained effectiveness of the machinery in which they are used.